In the Ramayana, Bharat had told Sri Ram during their last meeting at Chitrakoot that he would not wait for a minute longer once 14 years of exile were completed. If Rama’s arrival were delayed even by a day, he would end his life by jumping into a burning pyre. Hanuman saved Bharata from committing suicide. Bhagavan Sri Ram who had foreseen this had asked Hanuman to dash off to Ayodhya and inform about his arrival. When Hanuman reached Ayodhya, he saw a determined Bharata who was getting ready to jump into fire. Hanuman went to a tree near the firepit and sat on the branch of a nearby tree. Immediately, Hanuman began narrating the story of Lord Ram. He narrated the story from the birth of Lord Ram to his killing of Ravana and his return journey and the arrival at Bharadwaja Muni’s ashram. Bharata now wiped his tears and abandoned the idea of ending his life. He got ready to welcome Lord Ram who was now stationed at the Ashram of Sage Bharadwaja. 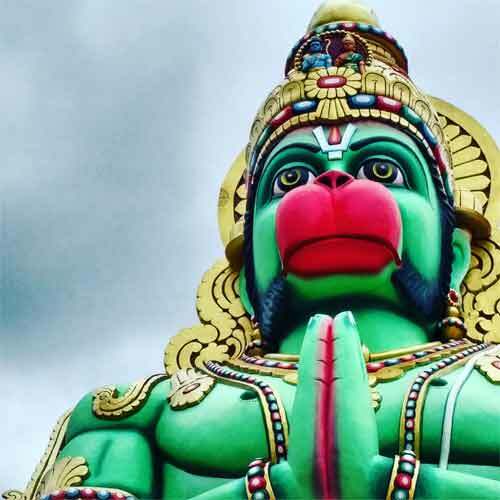 Why Hanuman Felt No Pain When His Tail Was Set On Fire in Lanka?